Paul Stevenson, Managing Director of One Connectivity (left) and Chris Cowling, previous Director of Elite Telecoms (right). 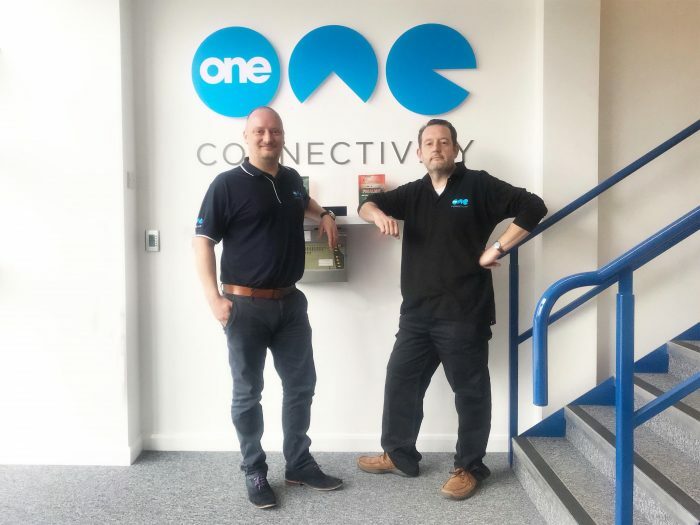 One Connectivity, a communications provider based in Castle Donington, has after five successful years of trading in business telecoms, acquired Midlands business, Elite Telecoms (Midlands) Limited. The news comes within three months of One Connectivity’s move from their base in Nottinghamshire to bigger premises in Castle Donington. One Connectivity and Elite Telecom have worked together in the past, and felt it was the right time for an acquisition which will allow One Connectivity to recruit further team members and continue with their business growth plans. Chris Cowling, the previous Director of Elite Telecoms’ has now joined the team at Castle Donington as part of the acquisition and will ensure client transfers are made seamlessly. Chris has many years’ of management and technical experience, which benefits One Connectivity.